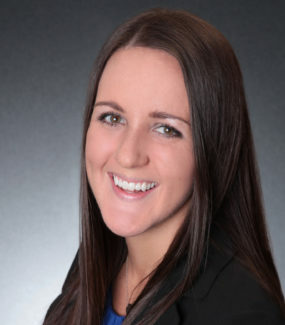 Rachel has a passion for marketing and real estate. Her education, an M.S. in Integrated Marketing Communications and a B.S. in Marketing from Florida State University, and chosen career in real estate as a residential listing specialist, helping homeowners get their homes sold, is a perfect match for home sellers. She brings fresh and creative ideas with proven success. Rachel always does a terrific job in our video tours, one of which is featured above and is included as part of our Signature marketing package for every home we are hired to sell. It’s posted on our Facebook and YouTube pages where it is seen by thousands of people. Rachel has lived in Oviedo since 2004 and knows all of Central Florida very well. She joined our team in 2014 and worked as our listing and marketing coordinator for over a year before becoming a REALTOR® on our team. With her education, experience, and superior customer service skills, Rachel would be a superb REALTOR® for any homeowner to hire.